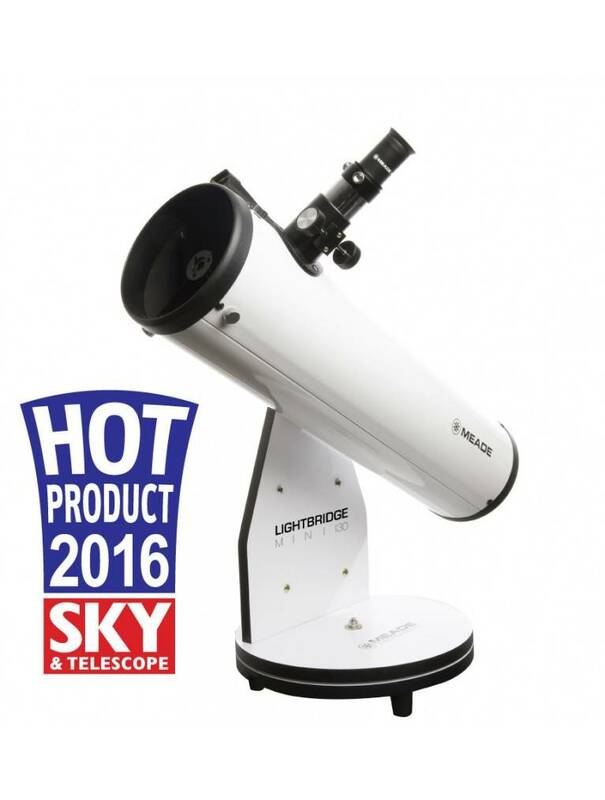 Meade's LightBridge Mini 130 allows you to set up and share a stargazing experience in seconds. 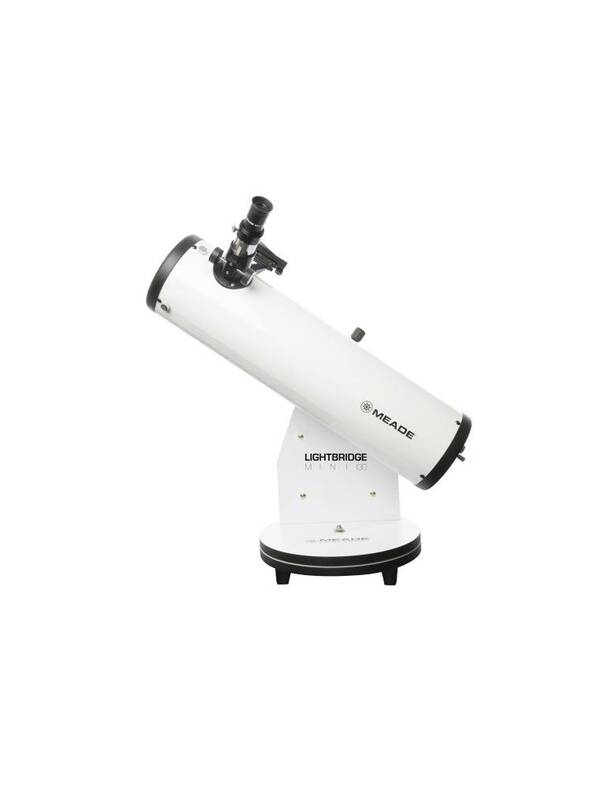 Whether you are camping in the outdoors or relaxing in your backyard, the LightBridge Mini 130 Dobsonian is the ideal “grab-and-go” telescope, offering easy and portable observation with its removable optical tube. 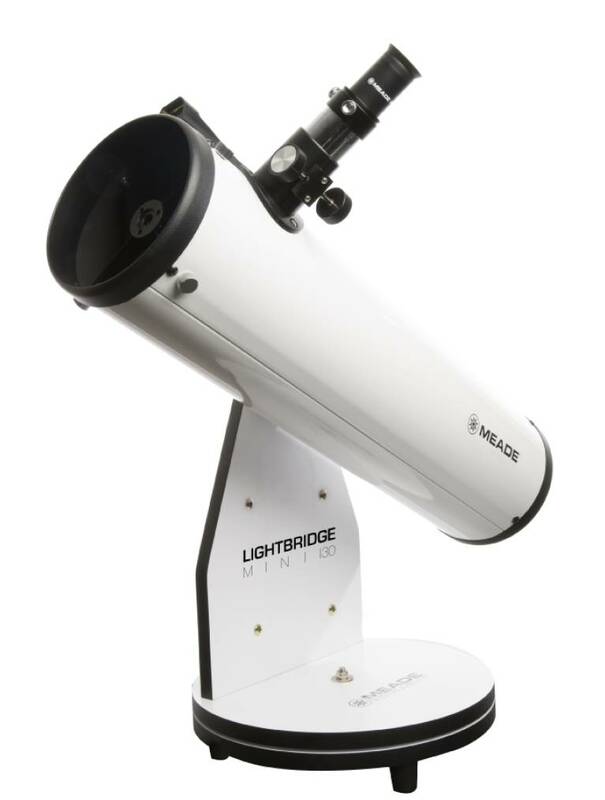 The LightBridge Mini 130 boasts an impressive 130mm parabolic aperture with a 650mm (f/5) focal length. 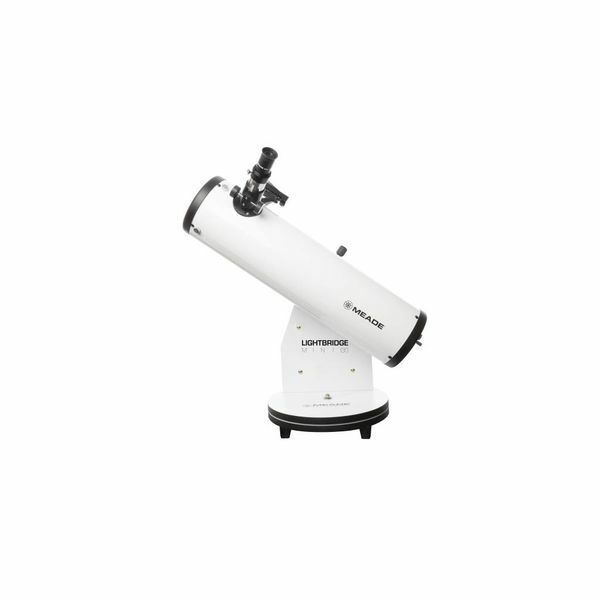 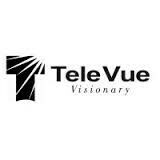 The 360° swivel mount and a simple point-and-look design make navigating the sky effortless. With 130mm of light gathering ability, you’ll get the best look at the Moon, planets, and deep-sky objects like nebulae and galaxies. 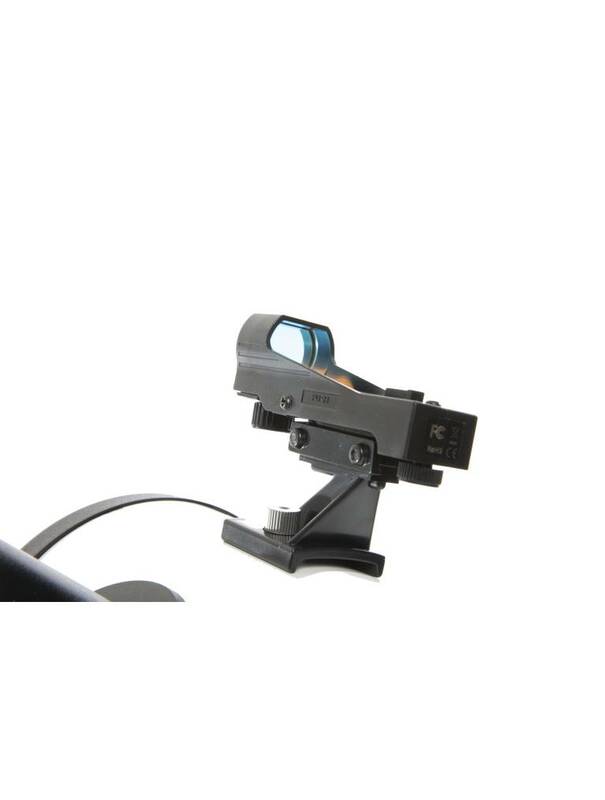 Experience versatility with the vixen-style mount, and see bright, sharp images with the LightBridge Mini’s parabolic mirror.